This initiative is open to all volunteers participating in any type of brigade throughout Honduras, Panama, Nicaragua, and Ghana. Approximately 9,000 volunteers participate in Global Brigades' development projects each year in Honduras, Panama, and Nicaragua. This positive impact on Central American communities comes with a considerable toll on the environment due to emissions from air travel. We feel it is our responsibility to take a stand and make Global Brigades a truly sustainable development organization, so we've developed a carbon offsetting program in partnership with ANCON, an environmental organization located in Central America. Air travel is responsible for an increase of greenhouse gas emissions in the atmosphere, which accelerates the effects of climate change and ocean acidification. By offsetting your flight, we not only acknowledge our shared responsibility for the effects of our actions, but we are actively working to counter the consequences of our travel. By simply donating to offset the emissions of your flight, you are simultaneously promoting sustainability, conservation, and a better world for the future. Contact your Program Associate (PA). Whenever we utilize fossil fuels, whether it be oil, gas, or coal, we are releasing emissions into the atmosphere. The most common emission is carbon dioxide, which is a byproduct of using electricity, driving a car, or flying in a plane. Carbon dioxide (among other gases) is known as a greenhouse gas because of the heat and energy it can trap in the Earth's atmosphere. The accumulation of greenhouse gases in our atmosphere has been linked to global climate change, causing rising temperatures, more extreme weather, and rising oceans. While we can try to limit our carbon footprint, most of us cannot reduce it to zero. When volunteers choose to participate in Global Brigades development projects in Honduras, Panama, and Nicaragua, they must travel thousands of miles using aircrafts that emit millions of pounds of carbon dioxide into the atmosphere. Carbon offsetting is a practice that reduces carbon dioxide emissions that would otherwise be emitted into the atmosphere. By partnering with ANCON and choosing to GREEN YOUR BRIGADE, your donation will plant trees that will capture and store (sequester) carbon dioxide, offsetting the emissions of your flights over time. Forests can capture carbon dioxide in a variety of ways. As trees grow, the carbon from carbon dioxide in the air is stored in its trunk, branches, leaves, and roots. By supporting this initiative, volunteers not only reduce their trip's negative impact on the environment, but they also support combating deforestation and promoting sustainable practices throughout all aspects of their lives. What is Global Brigades' carbon footprint? With over 9,000 volunteers that travel to Honduras, Panama, and Nicaragua annually, volunteers generate emissions through at least 18,000 flights per year. These resulting emissions quickly pile up when considered cumulatively. 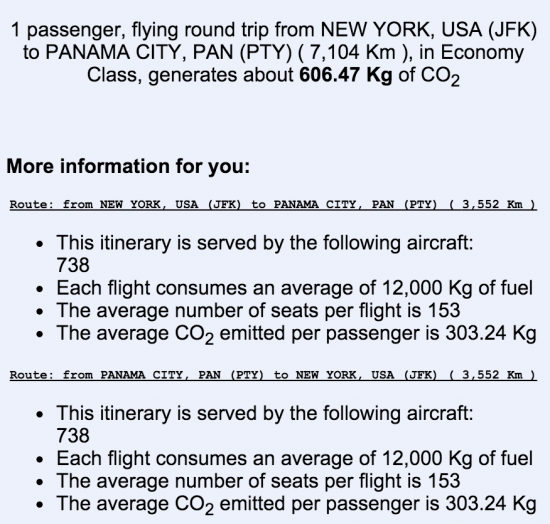 Based off calculations from UN's International Civil Aviation Organization, the following is an example flight detailing the emissions for a single passenger traveling round trip from New York to Panama City. * Calculations according to averages of above itinerary, multiplied through 9,000 volunteers (knowing that many flights are shorter distances, which in fact produces greater emissions). According to EIA.gov, 1 gallon of gasoline utilized by a car produces 8.9 kg CO2. To get an equivalent between airline emissions and car emissions per gallon, the airline average is divided by the gasoline average, resulting in 68.14 gallons of gasoline [car] per person per flight. Multiplied through 9,000 volunteers we find 613,284 gallons of [car] fuel equivalence. According to US Dept. of Energy, average car uses 480 gallons per year. As a result, we have total emissions equaling the emissions of 1,278 cars per year, or 1 car for every 7 volunteers. In 2015, we received 427 brigades, with an average size of 21 volunteers, resulting in 3 years worth of emissions for every brigade. This initiative is open to all volunteers who plan on participating in brigades in Honduras, Panama, and Nicaragua. Contributing is simple: let your chapter president and Program Associate know that you want to donate to offset your flight! Your Donation Goal will then be adjusted to account for a $25 donation (€23/£18), which will offset the emissions of your brigade flight over time. If you have any questions or concerns, please contact your Program Associate. What is my donation going towards, exactly? 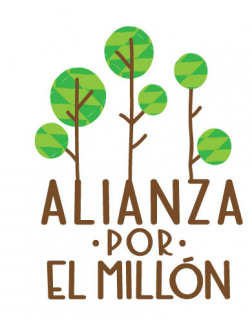 The "Alianza por el Millón" (Alliance for a Million) initiative was created by the Panamanian Ministry of the Environment in order to promote the reforestation of 1 million hectares of land within the next 20 years. In setting this goal, the Ministry of the Environment has partnered with both public and private sector organizations dedicated to preserving local biodiversity and promoting sustainable forest management. As a primary supporter of environmental preservation throughout Panama, ANCON has agreed to support this initiative through its own reforestation efforts as a managing member. For each hectare reforested by ANCON, the organization will provide materials and maintenance for five years after the date of planting. The reforestation of each hectare, including costs associated with the purchase of native trees and five years of compost, fertilizer, labor, and maintenance, comes to a cost of $10,000/hectare. Your donation of $25 directly goes to the planting of native species and their maintenance so that they can grow and thrive. Over time, the trees planted will offset your entire flight. One hectare of reforested land will capture approximately 12.5 metric tons of carbon-dioxide per year. On average, the cost to reforest enough trees in order to offset the flight costs approximately $485*. This is far too much to ask of volunteers, so by choosing to donate a fixed and affordable amount, the emissions resulting from your flight will be absorbed over time. A donation of $25 to GREEN YOUR BRIGADE will offset your flight in less than 20 years -- after that point, the trees planted as a result of your donation will have a carbon-negative impact, absorbing more carbon-dioxide than what was emmitted as a result of your flight for decades to come. Participating volunteers will have the ability to receive reports from ANCON detailing how their donation supports the "Alianza por el Millón" initiative. * Based on a roundtrip flight from New York to Panama City, the average emissions released are 606.47 kg of carbon-dioxide per person. This is approximately 4.85% of the 12.5 metric tons of carbon-dioxide that one hectare of reforested land can offset in one year. When calculating the cost, this comes out to $485.18 to offset the entire flight in a single purchase (4.85% of $10,000 = $485.18). 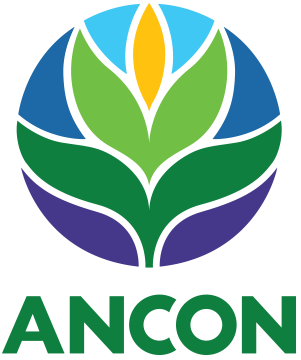 ANCON is a non-profit conservation organization based in Panama. 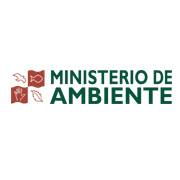 They are Panama's leading organization protecting biodiversity and natural resources for present and future generations. Celebrating their 30th year, their projects have been positively impacting Panama for decades, cleaning rivers and communities, reforesting previously felled or damaged land, recycling, and promoting conservation, among others. Global Brigades is incredibly excited to partner with such a positive force for our GREEN YOUR BRIGADE initiative. Through a partnership with ANCON, Global Brigades becomes a leader in the international fight against deforestation and climate change. Not only does every donation to Global Brigades Carbon Offset Program work towards reducing the environmental impact of your brigade, but it actively promotes reforestation and conservation. Global Brigades along with ANCON is joining the Panamanian Ministry of Environment's initiative "Alianza por el Millón" (Alliance for a Million). The goal of this initiative is to reforest 1 million hectares of land in the next 20 years to combat deforestation and climate change. You can learn more about their projects at www.ancon.org. How else can I support GB's carbon offsetting initiative? Spread the word! Share this exciting opportunity with your peers and encourage brigaders (and even non-brigaders) to learn more about what it means to offset your carbon footprint generated through travel, your home utilities, and more.